The feature exists in both the Google app for iOS as well as Chrome for iOS, as long as you’re signed into your Google account. For now such links to iOS apps will be limited to a short list, with Google having worked with some initial test partners so far. But in the future many more apps can get supported, as long as their developers take a number of easy steps, all of which are detailed at the Source link below. 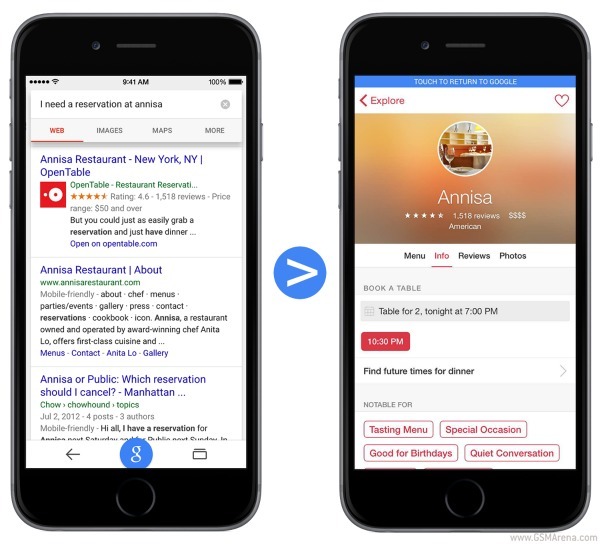 With this feature, Google search on iOS now essentially has two types of links included in the results for each query: those that go out to websites, and those that go out to the apps you have installed. In the mobile context, the usefulness of the latter compared to the former seems pretty obvious. If you don’t see App Indexing working for you in iOS yet, don’t panic – Google says it will be there for everyone, globally, “in the coming weeks”. So it’s another of those staggered rollouts, keep that in mind.